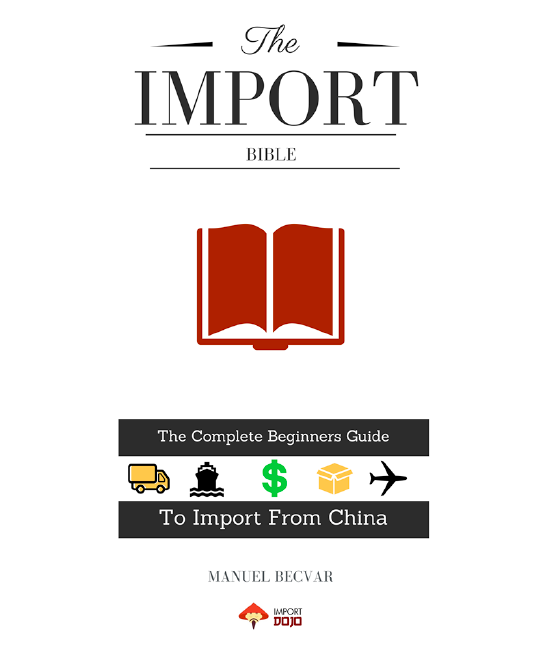 Importing electronics from China – I have recently been asked a few times to write about regulations for electronics and why I chose electronics. I choose electronics for myself because I’ve been in this category for nearly 17 years so I feel confident importing/exporting them. I wanted to give you a basic overview what you need to pay attention to. First off I wanted to let you know that I’ve created an in-depth course with over 7 hours of material on the topic titled ImportDojo Certifications. You can get it on Udemy for $10.99 here: ImportDojo Certifications. Many “gurus’ will tell you to shy away from electronics because of the regulations, high returns and what to do with defective items. While I do agree that a beginner should stay away from electronics I do encourage you to import electronics at one point because the margins are higher than your standard household product. Especially if you have it OEM manufactured products (your own design/software/application). However manufacturing an electronic OEM item requires profound technical knowledge (or at least a knowledgable factory and engineers) and financial pre-investment in most cases. Most suppliers won’t offer free services to help develop the product unless you commit with a certain order quantity, have yearly agreements or previous (mostly large) business with the factory. 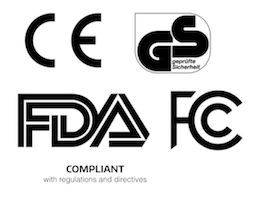 Why is it so difficult to find manufacturers who comply with regulations already? Most suppliers that develop a new product do not invest in the certifications in the beginning because they don’t know yet if the product actually sells so why invest in certifications that can run into thousands of dollars? Try to work and find suppliers who mainly work with larger European and US customers or retailers that did the work for you already. Because when retailers look for electronics they will absolutely make sure that they comply with the law. You will want to buy from factories that are either compliant already or are willing to work together with you to get the product compliant. Dismiss suppliers who aren’t interested in making the product compliant if the response is something like: “all the other buyers also don’t need it”. Ideally you can convince the supplier to invest his money into certifications and making the product compliant for different markets and regulations because it also benefits him. The more clients he can sell his products to (because they are certified) the better for him too. Lets take a look at general regulations first. Europe is generally stricter than the US and has a couple more regulations that are to be met if you wish to import legally to Europe. Required by law: NO, voluntary and used as a seal of quality for consumers. This directive covers any radio-transmitting device and is usually already covered within a GS or CE certification. The Low Voltage Directive does not supply any specific technical standards that must be met, instead relying on IEC technical standards to guide designers to produce safe products. Products that conform to the general principles of the Low Voltage Directive and the relevant particular safety standards are marked with the CE marking to indicate compliance and acceptance throughout the EU. Required by law: YES but different nations can require compliance with different standards. 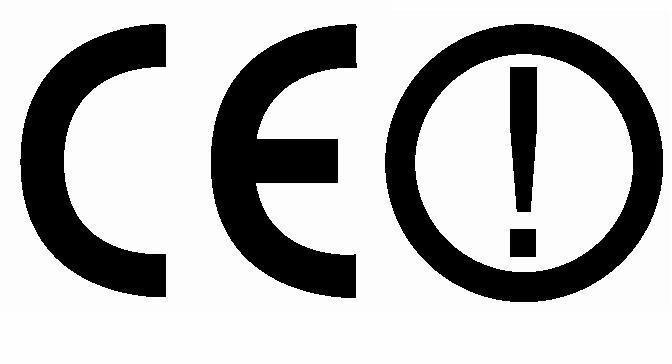 In European law, manufacturers of electronic devices are advised to run EMC tests in order to comply with compulsory CE-labeling. EU directive 2004/108/EC (previously 89/336/EEC) on EMC defines the rules for the distribution of electric devices within the European Union. RoHS or the “Restriction of Hazardous Substances” regulates the allowed content of 6 substances within the product. These are: Lead, Mercury, Cadmium, Chromium, PBB & PBDE. It is closely linked with the Waste Electrical and Electronic Equipment Directive (WEEE) 2002/96/EC which sets collection, recycling and recovery targets for electrical goods and is part of a legislative initiative to solve the problem of huge amounts of toxic e-waste. Most suppliers have at least a report for the incoming raw-materials that they later use for the final product. So while they do not have a RoHS certificate for the entire product they may have the material tested which is generally accepted by authorities. The Waste Electrical and Electronics Equipment Directive is mandatory to be fullfilled by the manufacturer. The marking needs to be on the sales packaging or product. Required by law: YES but different nations can require compliance with different standards. Each of the above have several sub-regulations that have to be met. But generally if you buy a certian product from a supplier and it is say for example CE or FCC certified it should have automatically been certified by the sub-regulation. The US generally has “loose” regulations compared to the authorities in Europe. Having said that I do recommend that you comply to all regulations as you don’t want to import a product that can cause fire or other hazards. “Loose regulations” also doesn’t mean that they are actually loose because you still are required to comply but again, Europe is stricter when it comes to enforcing and checking at customs or at retailers. A FCC certification is usually obtainable for a couple hundred $ while a GS certificate can go into the thousands. Of course there are products that are highly technical and or pose a risk or hazard and are difficult to certify by FCC for example. The FCC basically regulates anything that is electronic including WiFi, Bluetooth, Radio transmission etc. You will want any device that you import that is electrical and remitting radio waves (in any way) certified by the FCC. There are two regulations within FCC for both Intentional & Un-Intentional radiators. Intentional radiators for example are: Bluetooth speakers, WiFi devices, radios or smartphones. Unintentional radiators are: Headphones, Earphones, power packs, PCB’s etc. Required by law: NO/Voluntary and used as a seal of quality for consumers. RoHS is also recognised in the US and widley available at suppliers. 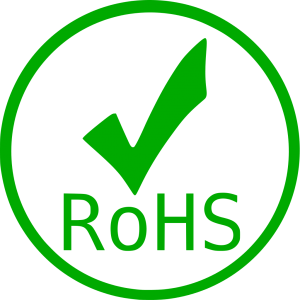 RoHS self declarations are generally accepted by authorities. Having a full certification on a product is the best and safest way to go. What does that actually mean? Lets look at an example: You want to import a hair trimmer/clipper. The hair clipper itself runs on a integrated rechargeable battery. The battery is charged via a universal external charger/adpater with a plug. In 90% of the cases the supplier will only have a FCC/GS/CE certificate for the charger/adapter. Why? Because the adapter can be certified with GS/FCC/CE easily and can be used on hundreds of different products that need a universal charger. So it makes sense for the manufacturer to certify the charger because he can sell it with different products and only needs to certify the adapter once. He can also sell his charger to other suppliers who are in need of universal chargers only for their products. While the hair trimmer is a sperate unit in itself and may not sell well. So why would the factory pay a lot of money to certify an entire product if they may not sell it. If possible find a manufacturer who has a fully certified product. Those are likely suppliers who work with large western retailers. Having said that if say the charger has a full certification like GS/CE or FCC and the hair trimmer itself only has CE it is also acceptable to authorities. If you want to make sure that you comply or satisfy authorities you may ask the supplier to issue a Letter of Guarantee that the entire product has been manufacturerd according to standard or regulation “X”. But satisfying authorities should not be your eventual goal. Your evenutal goal should be to import a safe and reliable product that lasts and delivers good reviews or sales. A full certification is quite expensive and therfore not often found. Yet some markets like Germay demand full certification especially from retailers. If you are an online seller and your exposure to the authorities is minimal you could start by meeting only minimum requirements (CE, FCC for example). I say applicable because as mentioned not every product needs to comply with above regulations. You will also want to put all labels and markings of the product on the Instruction Manual. Electronic products usually have instruction manuals so you’ll want to show in there what your product complies with. You are actually required by law to mark all regulations met, either on the box of the product or inside the instruction manual (if there is no space on the sales packaging). Unfortunately returns of electrical products can be as high as 20% in some cases. That could be due to poor manufacturing, faulty components that didn’t get checked properly, the client mishandling (or misunderstanding) the product and several other reasons. It comes with the territory when selling electronics and the only thing you can do as a seller is to take care of the manufacturing side and handle returns from customers with proper manner. Don’t try to argue with customers and simply refund or exchange the product for a new one. However you should collect all data collected from returns and defects and claim the lost profit/money from your supplier when or if you re-order. Make sure to communicate the issues to the factory and have them deduct the total amount lost from the next invoice. Send all material that you can gather from your customers to the supplier to have a strong case against the supplier. If you aren’t going to re-order (maybe because of the issues) try to get the defect/returned units replaced by him or even better a cash payment in the amount of your loss. The latter may be more difficult as suppliers will want to have you re-order before they give out any money for returns. In some cases it doesn’t make sense to certify a product because your quantities are low or the product is so cheap that the certification cost don’t justify certifying it. In that case you may ask the supplier to issue a self-declaration which is in some cases accepted by authorities. Please note that you cannot issue a self-declaration, it has to be done by the manufacturer. You would at least need to be compliant with basic requirements like raw material being certified or tested and according to regulations. However most countries in Europe only allow CE or RohS self-declarations for several items, mainly low voltage or battery powered products. Check with your supplier what he can offer you. Please note that the following are recommendations and there may be additional requirements for each country depending on your sales channel. I know for a fact that many importers ignore these regulations, hoping not to get caught. I am not telling you what you should or shouldn’t do but many countries have lax enforcements so importers simply ignore it. I personally like to have everything in order and proper certification to avoid any problems in the future. Not to forget that you need to pay BIG (Bluetooth Interest Group) a fee of 8000US$ (4000$ if you are a member) if you are planning on private labelling your product. Prior to February 2014 private labelers were able to register their private label under the manufacturers Bluetooth chip license but BIG changed that and made it not possible anymore. I know that there are many small time buyers who don’t care and risk it because its still a grey area but basically they are illegally branding Bluetooth products. This is a very simple product but highly competitive. The good news is that they are battery operated and low voltage powered. Many small importers in Europe or the US illegally import products hoping not to get caught (or not knowing there are regulations to be met). Basically playing with fire just to save a couple hundred dollars on certifications and compliant products. Also paying for a certification report doesn’t mean your supplier can comply with the regulation. Before you place an order with the factory make sure to ask him that the material and components will actually pass a FCC or CE testing for example, otherwise you waste money on a certification and the product may not even pass the requirements. One thing that I recommend beginners with electronics is to have the certifications from the supplier verified by a third-party. If you work with a third party inspection company like Asiainspection, TUV, SGS or others they are usually open to check certificates for you. That is if you already do business with them otherwise they charge a small fee. You can simply ask your contact at the third-party inspection company to look over the documents that the supplier sent you. 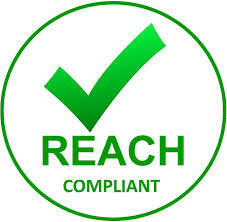 Do not engage with a supplier or product that cannot comply to regulations otherwise your products might be seized by customs or even have to be withdrawn from the market if an authority finds out you do not comply with regulations. If a supplier tells you he doesn’t have the necessary certification and “its ok his other customers also don’t need it” stay away or be prepared to invest a couple hundred US$ for a certification (FCC or CE usually goes from 400-600US$). Yes, it is sometimes a grey area, especially in the US if you ship things by Air directly to Amazon for example that you do not get caught, but I do not recommend going this way. If a supplier doesn’t have a certificate or is unwilling to invest in it move on to the next supplier. However if you are willing to invest yourself in the certification (make sure to ask the supplier if the product can pass first) I would recommend to do so. Furthermore if you invest into a certificate you will be the holder of the certificate and the supplier is not allowed to sell the product with certification to anyone else but you. This applies to all certifications. I can’t stress enough how important inspections are, especially with electronics. You will want your goods to be inspected to avoid a high rate of returns,defects or not compliant manufactured products. Pre-Shipment inspections can save you a lot of troubles and are well worth the investment. The inspectors will not only test the product but they will also make sure that all is compliant with laws and regulations. I also recommend once you import electronics in larger quantities that you contact your local insurance company and have a product liability insurance on your products. This is to protect yourself from any unforseeable issues. Even you may have manufactured a product to the best of your knowledge something can go wrong or someone mishandled the product but you may not proof it. For example a few years ago I worked for this large German retailer and we had a fan heater manufactured to all possible standards and regulations. One day a customer hired a lawyer and sent a letter to the retailer explaining his house has burnt down because of the fan heater he bought from them and he is looking for compensation and a full law suit. Since the fan heater was manufactured in China and sourced trough the buying office I worked for I was put in charge of the situation. When I heard of the problem the first step was obviously to speak to the supplier, check the certificates and look at the Inspection. All was in order, the said unit was manufactured at the highest standards and we suspected that the customer covered the fan heater with a towel and thats why the unit started burning. However we couldn’t proof that and the client won the lawsuit. The retailer had coverage from his product liability insurance and at least the financial damage was settled. The bigger damage was obviously the public problem they had but at least the financial issue was off the table. So what do you actually need for sure? Thats difficult to say as it depends on the product and ideally you will want the supplier to provide you all of the above. But realistically that never happens. In most cases suppliers do not even have CE certification which is actually easily obtainable. I can only recommend to have a supplier who has the minimum requirements such as FCC and CE certification. RoHS is also easily obtainable these days and if a supplier doesn’t even have a self-declaration or certification for incoming raw materials look elsewhere. Unfortunately each product has different regulations however above general guidelines give you an idea what to look for. Also there is no website that tells you exactly what you need for which market (Business Idea??? 🙂 ) and all is done trough research or ideally you speak with your third-party inspection company. In most cases they will charge you for giving out this information but if you work with them for a while already they might do you a favour and give you the information for free. This is good stuff, Manuel. I will definitely become seriously interested in doing electronics, after I get my feet wet with Amazon selling a boring, simple household product. But this post of yours is encouraging because, although more complex process, it is doable, with your guidance, and as you mentioned the potential reward (higher profit margins) is there. What a wonderful post… thanks a lot Manuel. Very good and informative post. How much does it cost in Germany TÜV verification ? That’s I think so a seal, which you should have as an electronics dealer, alone because of the Trust. Hi, Manuel. Good article and as a sales guy it really helps. Thank you! Thanks for the nice overview. I am about to make my first order for a “normal” non-electronics product to ship to Germany, a tool actually, with no moving parts. Do you know if there’s a checklist or a step-by-step instruction of what is absolutely necessary, so the shipment passes customs and can be sold in Germany without issues: e.g. certification, labeling, instructions, etc.? What’s the best place to look for such information? Thanks for the feedback and comment! Actually I don’t have a step-by-step instruction for tools in regards to certification, labelling, instructions or others. Having said that I wouldn’t worry too much on tools. You should have a CE (mandatory) and RoHS certificate (if applicable). If you even have GS it would be better but since I don’t know the actual product I am not sure if its even applicable. Labelling and instructions have to comply with European standards (suffocation warning, Made in China label, Recycle mark etc.) but I don’t have a guide there (yet). 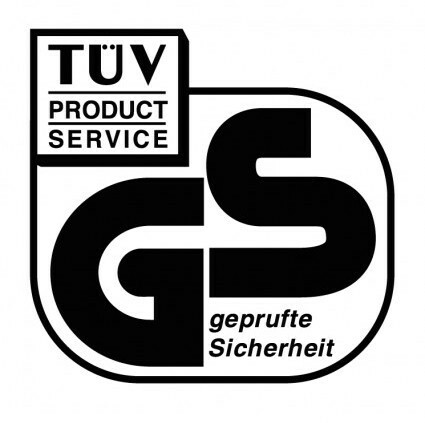 In doubt check with TUV or SGS if they have a guideline for your product. Thanks for the great post Manuel. We recently brought in a shipment of some electronics– Bluetooth speakers and headphones along with chargers etc. The packaging has the FCC symbol on it but no sticker and we were told that this is not FCC compliant, therefore unable to import it. Any suggestions on ways to check if the products brought in are FCC complied. I would have to know all circumstances to give you an exact answer. But I guess you need stickers on the product itself with an FCC symbol if you haven’t got that. Didn’t they tell you why you aren’t compliant? That’s right Chinese suppliers are usually focused on short-term profits so they have difficulties to have how an investment of thousands dollars in certification could actually help them in the future. As soon you explain them why they need to get the certifications for producing and exporting to other countries, they accept to get the certifications. Show them it is a win-win situation! If you don’t know where to start with your supplier, ensure he is reliable, do basic assessment and credit check. That’s the minimum before to start doing business with a supplier you don’t know and who’s located very far from you. You can ask a neutral third-party like Asia Quality Control, locally based, to do these for you. Feel free to take a look at our website: http://asiaqualitycontrol.com for more information. I’m interested to understand where during the cycle of product shipping and sale, where are you likely to get penalised if you fail to have the correct documentation. Is it during the import process that your product can be rejected by USA customs? If that is true, then these regs probably apply to most products that are being sold on Amazon and people are avoiding them, risking people’s lives and health for a buck(including children), shame on you!. As a new FBA seller, I see a real lack of ethics in the conversation around using China and selling junk to our fellow citizens. It all money, no soul..A guide to ethical sourcing is greatly needed… Great post! Thanks for the feedback! Yes, it is during the importation process and mostly when customs reject goods. Unfortunately many sellers avoid certification either because they don’t know or because they don’t want to spend that extra money to improve quality and do it by the book. Express shipping companies like DHL or UPS have a special clearance channel and often the “un”-certified product slips trough customs…. While I do agree not all the certification is necessary (as told by third party laboratories – thats where they make their money) I try to at least have the basic country required laws fulfilled. Hi Max, thanks for the wonderful guide! It’s very instrumental for beginners like us. I am planning import some small amount of samples of battery driven mini facial massage device from China. What kind of certificates are required? will it make difference in terms of customs inspections if shipping by air or ocean? Many thanks! Our Chinese OEM has agreed to ensure the goods are FCC and CE compliant and work with a 3rd party agency in China (LCS) labs to handle product Testing and Certification. Question 1: Do you recommend any other certifications if we intend to sell in North America and EMEA? Question 2: We recently saw effective July 13, 2017 FCC certification and testing must be completed by US based accredited 3rd party testing agencies. Do you know if this change prevents FCC certification from being attained in China? So I read through this and wondered a few things if anyone can help , I am having a product made in china this takes the form of a high voltage (220VAC) wireless (Wifi) Switch. I am unsure where to go to get all these certifications and what ones exactly i may need to sell the products in europe to the consumer market. If anybody might know how this whole process works and how much it may cost either in europe or from China directly. I am trying to keep costs as low as i can as this is the first product i have attempted, I am struggling to find knowledge from people who have actually done his and this is the first post i’ve seen that covers what i want.any advice here would be a great help.Thank you in advance. Great article. One question. If i have a OEM agreement to manufacture some product with my own brand, can i use the manufacturer certificates o should i get a new one for my own brand?